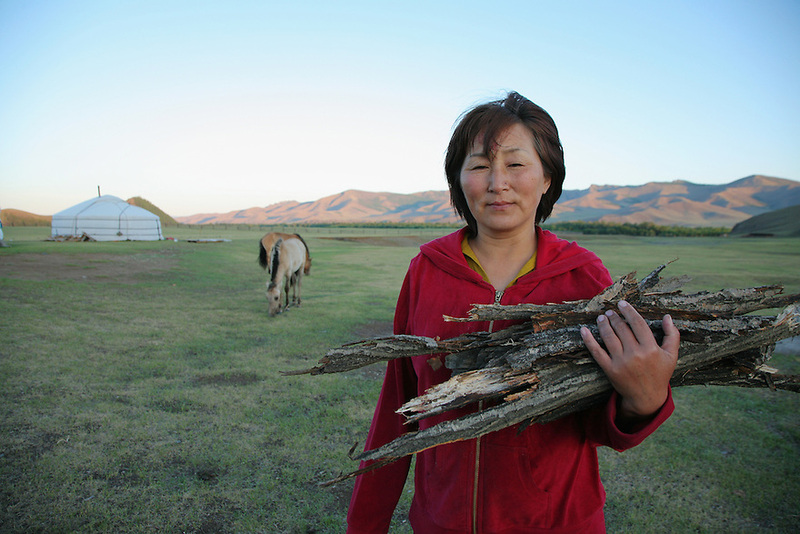 Mongolian woman collecting fire wood. Terelj National Park. Mongolia.